Tsukiji, the place that gives the Tokyo Central Wholesale Market its common name, is somewhere between a well regulated machine and chaos. Stepping into the market is like stepping into a raging river where, if you don’t quickly learn to navigate, you will drown under its activity. I stepped into this torrent for the first time in 1991, when nearly 3,000 tons of seafood was handled each day, making this the largest fish market in the world. The Tokyo Metropolitan Government plans to relocate the market because of its aging infrastructure. This small book is my homage to this place. Prelude: From early evening through the early morning, trucks and ships deliver their cargo. By 3 am, this mass of seafood is being prepared for the morning auctions. 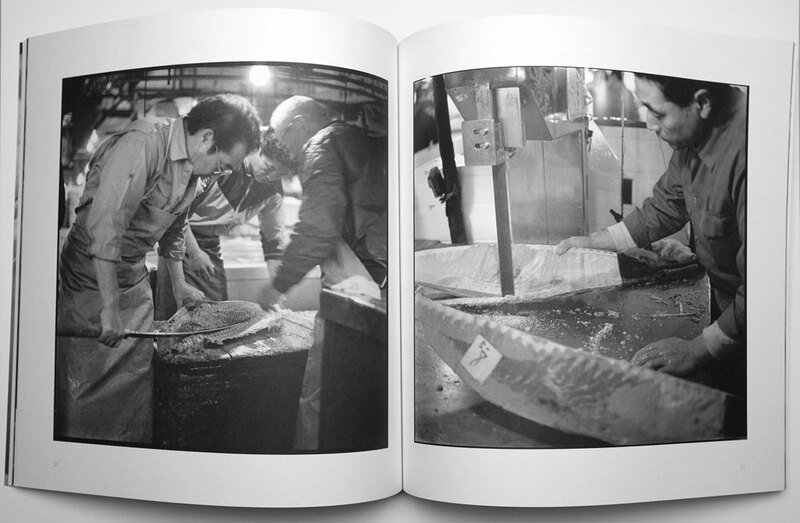 The animal Tsukiji is most identified with is tuna. 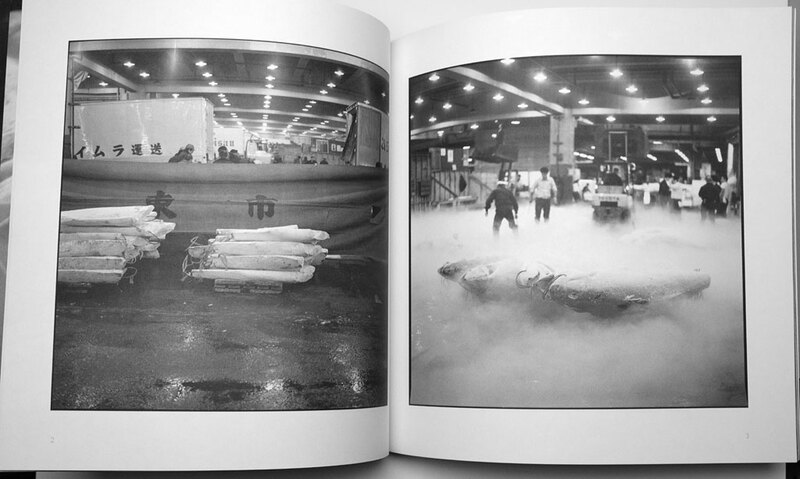 These giant fish, both fresh and frozen, are laid out in huge schools on the concrete floors. The climax comes at 5:30 am with the auctions. Courante: The wholesale market comes to life. Fish from the auctions are distributed through the area on handcarts or motorized vehicles known as turrets. 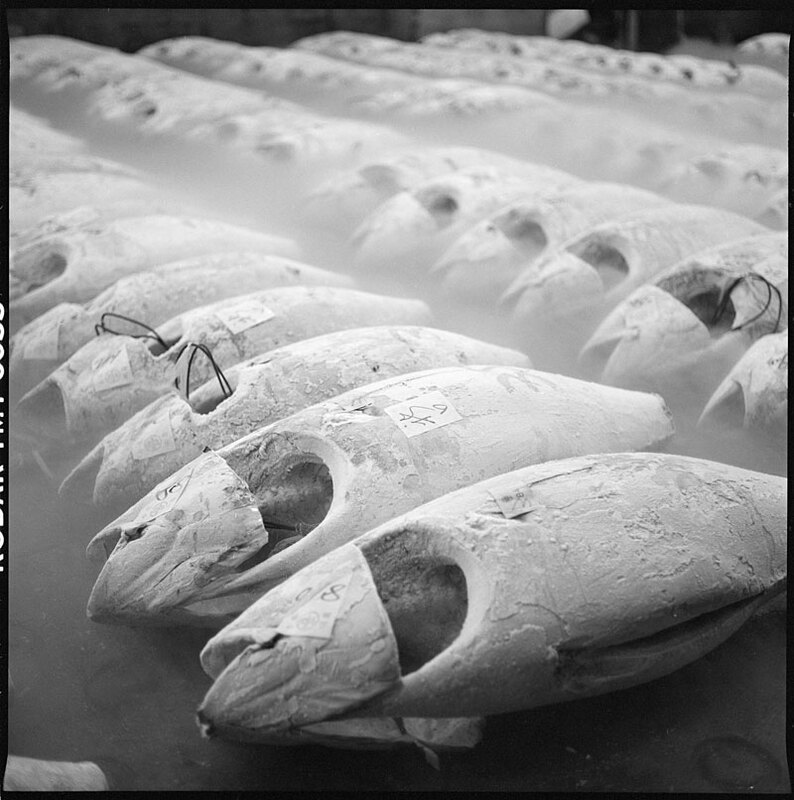 Frozen tuna are cut up with band saws; fresh tuna are sectioned with sword-length knives. The transactions pass invisibly through long and deep connections between sellers and buyers—prices are rarely seen, except occasionally at the end of the day for last minute sales. By 11 am, the activity recedes like the tide. Intermezzo: In early afternoon, Tsukiji is deserted. A soft natural light penetrates the 1935 market building. Tsukiji is strangely peaceful; only a muted, distant drone reminds you that you are in the economic center of one of the world’s largest cities. But this peace is only a temporary interlude before the cycle begins again. 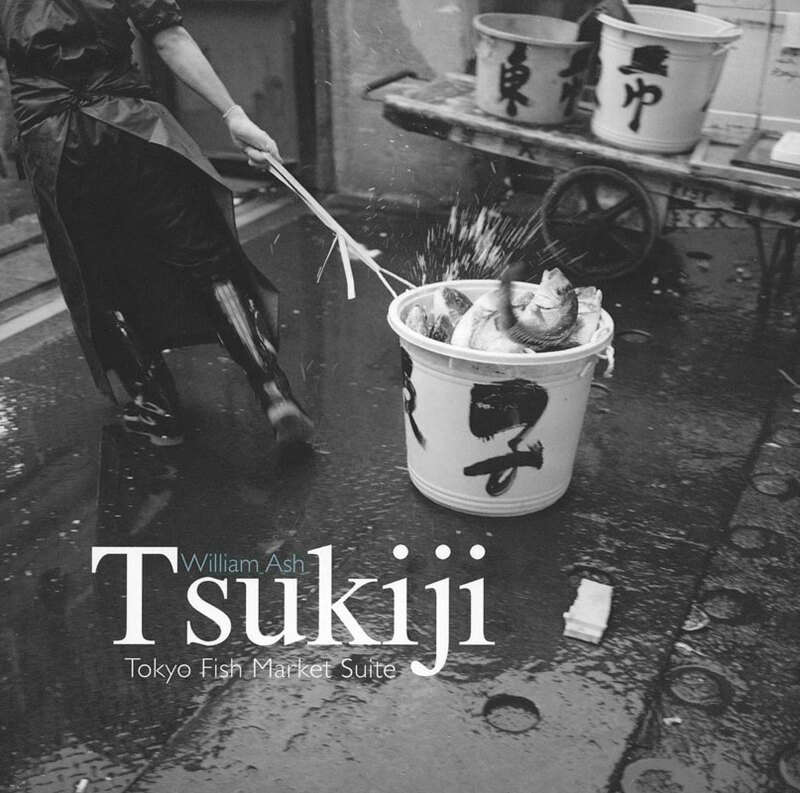 Tsukiji: Tokyo Fish Market Suite is available in our online store.